[T]his country expected that other states would soon act similarly. 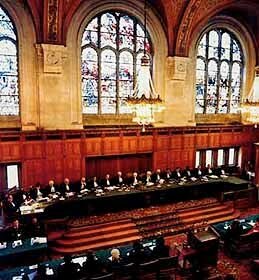 The essential underpinning of the UN system, of which the World Court is a part, is the principle of universality. Unfortunately, few other states have followed our example. Fewer than one-third of the world's states have accepted the Court's compulsory jurisdiction, and the Soviet Union and its allies have never been among them. Nor, in our judgment, has Nicaragua. Of the five permanent members of the UN Security Council, only the United States and the United Kingdom have submitted to the Court's compulsory jurisdiction.